Artisan: a skilled worker, especially one that makes things by hand. 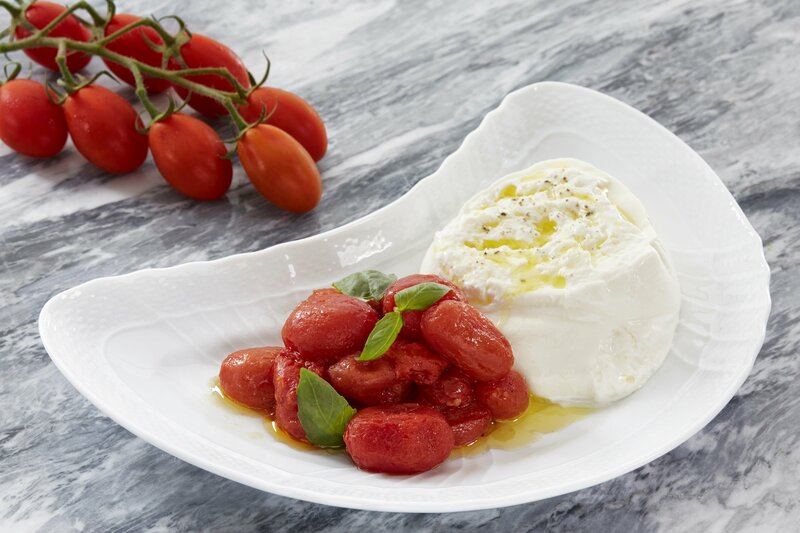 The Artisan By Enoteca Pinchiorri: skilled workers in the kitchen, ones that use fine ingredients to make delicious things by hand. That is how we can best define the Michelin starred Florentine concept, brainchild of Chef Annie Féolde and husband Giorgio Pinchiorri. Brought to Dubai by self-proclaimed U.F.O. -Unidentified Fooding Object- Firas Fawaz, the restaurant was conceived as “a casual yet elegant home for a cuisine with a strong DNA, that adapts easily to the Dubai restaurant scene.” Late last year, when truffle season dawned upon us, The Artisan introduced truffles to several dishes, and… need we say more? So there we were, going up the escalator at Burj Daman Tower in DIFC, walking across a pathway, going out a door to the suspended yard then finding our way to the door of The Artisan. Although access isn’t very obvious, the decor that welcomes you sure is worth it. 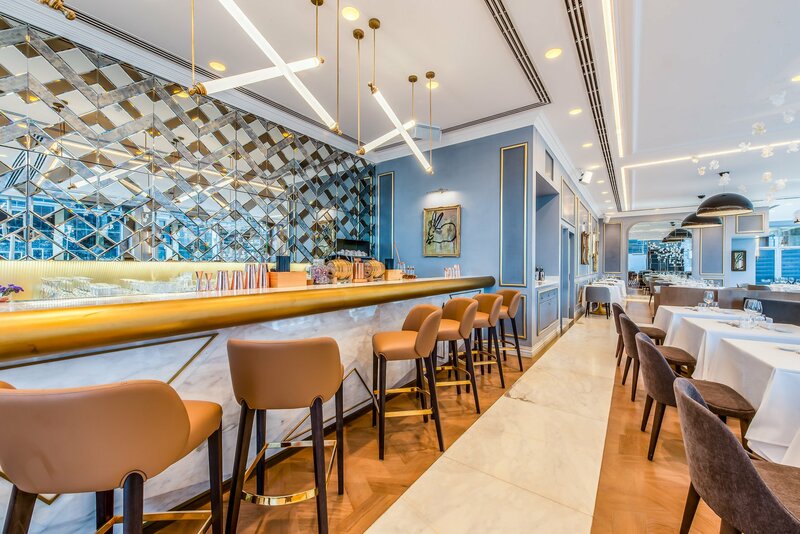 An interior befitting grandiose dining rooms wraps you in a warm, cozy atmosphere, surrounded by classy gray-blue walls with touches of “sobre” gold and marble. Lovely handcrafted Murano-glass irises hang down from the ceiling, adding an enchanted garden feel to the restaurant. Walking past the bar -that also serves as a smoking area- to our table, I notice that creative light displays and fun paintings hanging from and on the walls create a contrast between modern and old. Unanimously one of the best dishes we had, the Polipo Cotto in Olio di Oliva (slow cooked octopus in extra virgin olive oil) is scrumptious, and looks quite nice in its bed of green beans, potatoes and Taggiasca olives! Perhaps the secret lies in the extra virgin olive oil, which, as Chef Luca told us, “…is the key base for Italian and Mediterranean cuisines in general”. The Truffle Beef Tartare, a temporary truffled take to the classic beef tartare, boasts fresh, top quality meat, with a very simple truffle flavor. If you are big steak tartare fans like us, you might miss the “relevé” aspect usually provided by Dijon mustard, onions, capers and other condiments. While the wine wasn’t offered for tasting before being poured, we enjoyed the glass recommended by the sommelier. Founding partner Firas, who had greeted us joyfully earlier, and was now telling us more about his passion project, explained that “The Dubai F&B market is evolving fast towards a better gastronomic offering rather than a concept and marketing driven market,” which is why, for example, The Artisan houses several bottles of prizes wine, music to our ears! 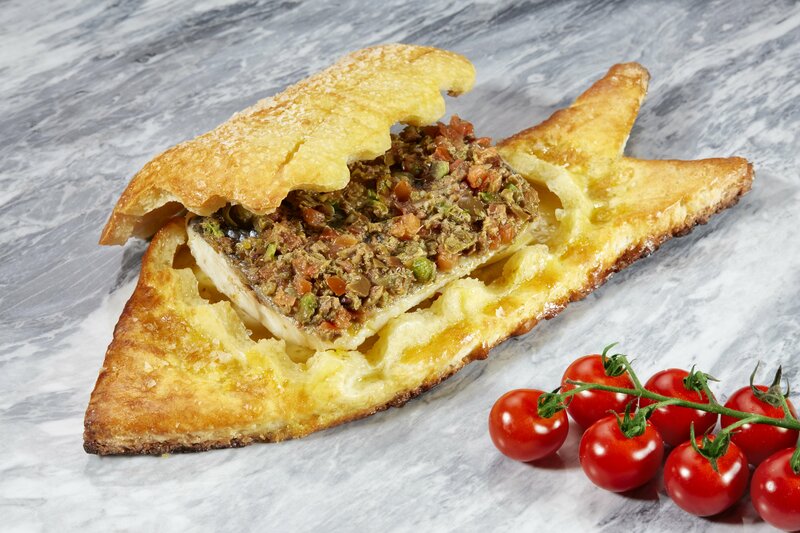 The Branzino in Crosta di Sale con Salsa Vergine -sea bass in salt crust with tomato and olive sauce- is yummy: the fish is very tasty and the sauce balances it well. The Milanese-style veal cutlets -also commonly known as escalope milanese or oreille d’éléphant- was a bit too crispy for our taste. 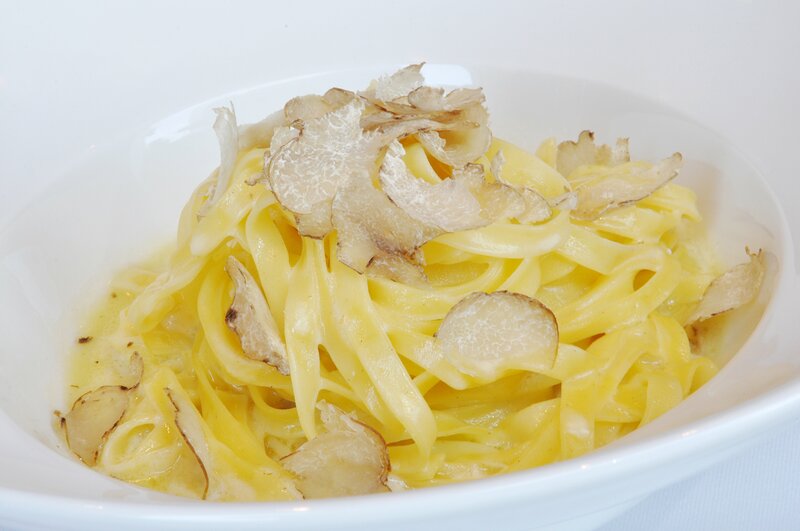 The Truffle Tagliolini, another seasonal dish that will wait till the next truffle season before seeing the day again, is simple but mouthwatering. It’s what you want when you order a non-creamy, non-saucy truffle pasta dish: the truffle flavor is not overbearing, not underwhelming, it’s just right. “The thing about Tuscan truffles, says Chef Luca, is that they are always consistent.” Definitely a favorite of the night, the Agnololotti del Plin Farciti di Zucca Mantovana, or in simpler terms: handmade Agnolotti stuffed with pumpkin Mantova, sage, butter and roasted almonds, topped with parmesan fondue, is a delight. Such an interesting fusion of sweet and sour flavors! When our sweet tooth kicked in, ‘too-full-to-eat-more’ soon became an overlooked thought. 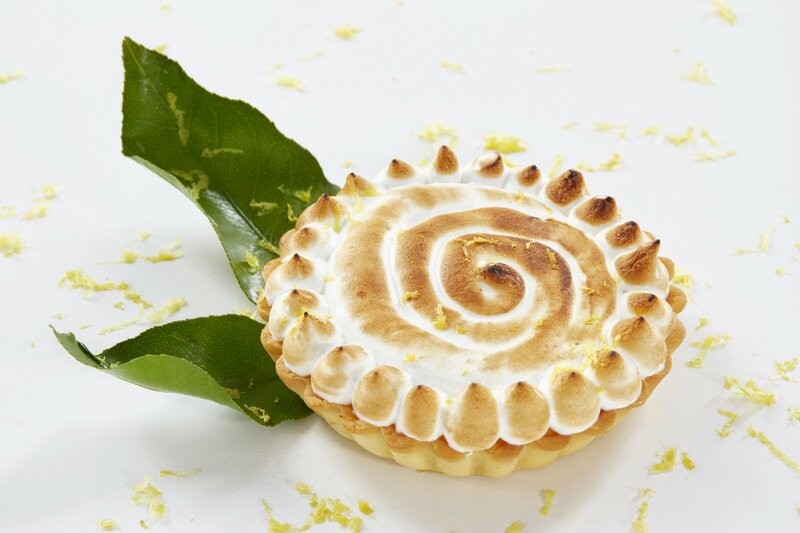 While the Tortina di Limoni di Sorrento con Meringa (lemon meringue tart) isn’t as dear to my heart as my granny’s famous lemon tart -but then again, no dessert is!- it is quite enjoyable and refreshing. 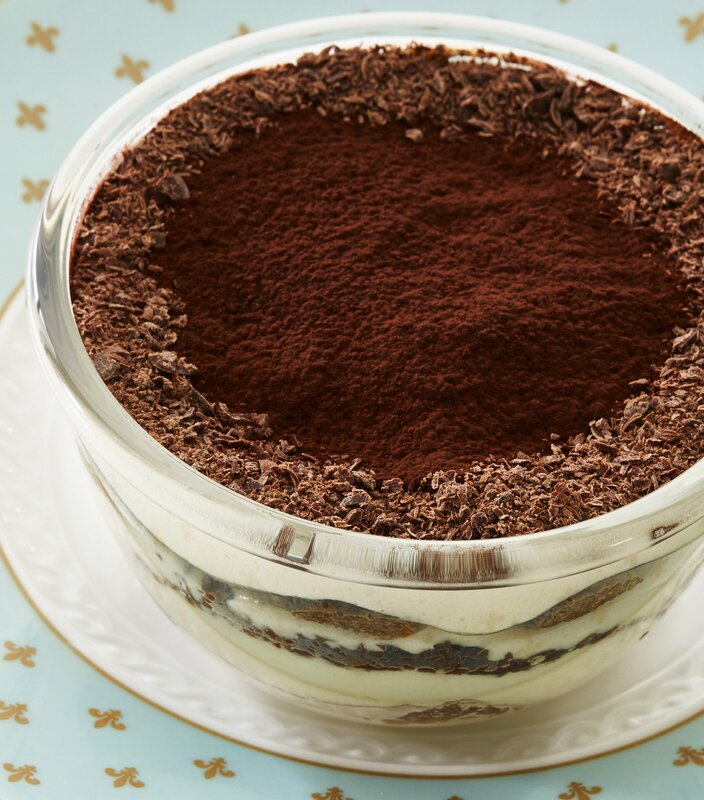 The Tiramisù is very well made. We just wish a hint of Amaretto was incorporated to it, but totally understand ‘The Artisans’ avoiding that in respect to local culture. 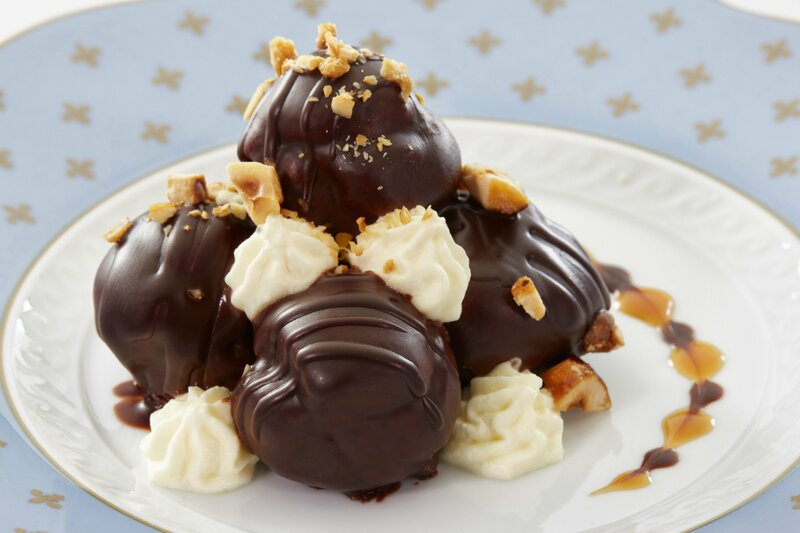 “Il nostro Profiterole” or “Our Profiterole” in English, became ours! They taste as great as they look on those gorgeous blue-rimmed plates decorated with fleur-de-lis, which we learned from Firas were designed specially for The Artisan. Superb touch! When we asked Firas if the team and he were aiming at trying for a Michelin star for The Artisan in Dubai, he shared: “It has always been our determination to be internationally renowned, and the Michelin guide is a credible recognition due to their high standards and history in the culinary industry. Being an offspring of a 3 Michelin star historic restaurant in Florence, Michelin guide and standards are a part of our DNA. 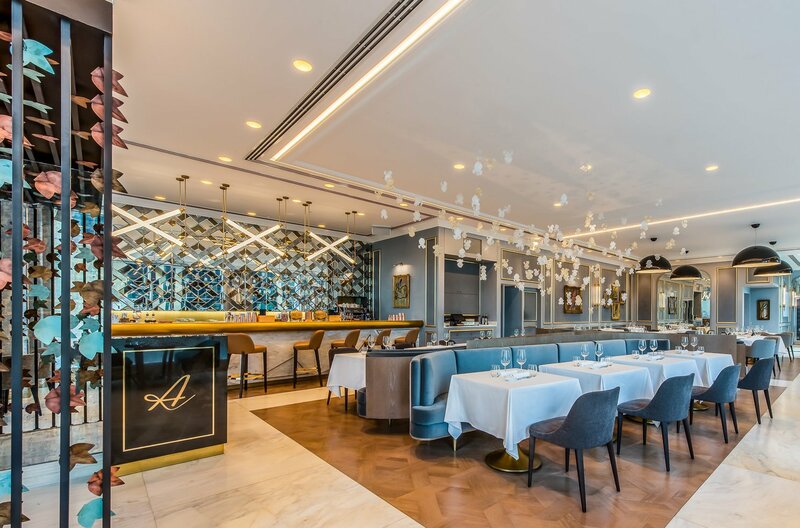 However, The Artisan Dubai was designed to be a casual and easy going concept, while underpinned by excellent service and Michelin star quality food. Therefore, The Artisan is creating a unique place for itself in Dubai; where there is primary emphasis on food, quality of ingredients and historic culinary know-how, served in an easy, friendly and trendy ambiance.” I’ll say this: the ambiance was definitely easy, friendly and trendy, and I was happy to share the experience with the very first foodies I met in my life, my mom and dad, who instilled in me this passion for food and fine dining. Thanks guys! 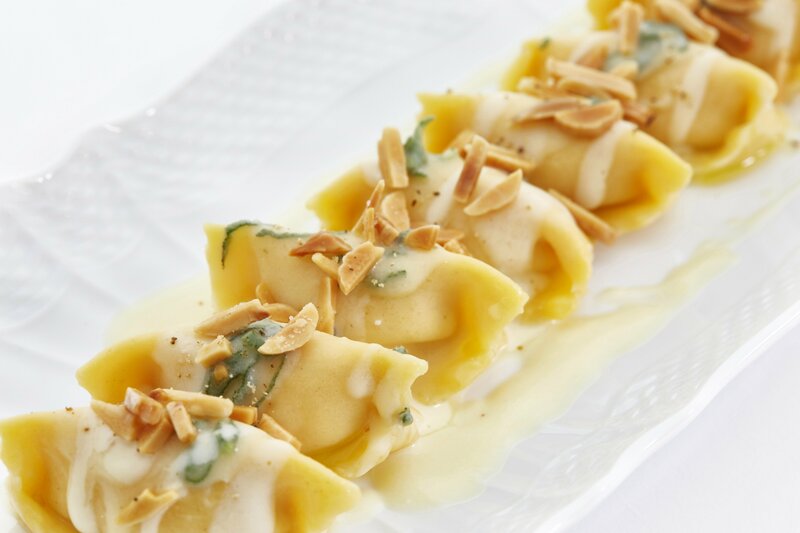 Note: Images provided by The Artisan By Enoteca Pinchiorri.